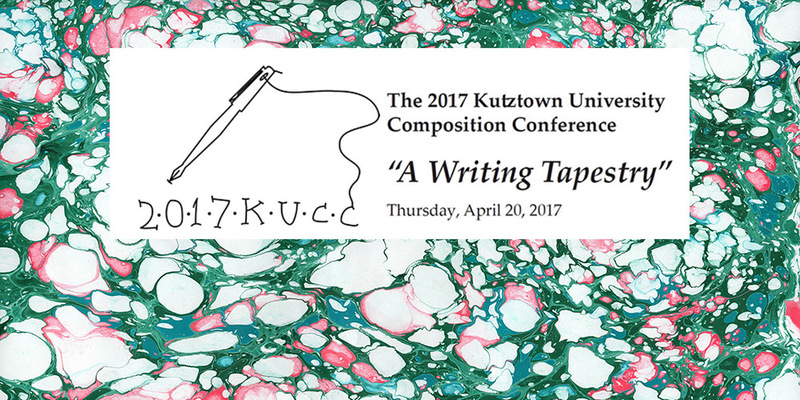 The 2017 KU Composition Conference (KUCC) will be held on Thursday, April 20, from 9 a.m. – 4 p.m. in the McFarland Student Union Building. Registration will be held in MSU 312. This year’s theme is “A Writing Tapestry.” Participants are invited to think about the ways creators “weave together” different voices, genres, styles and topics, as well as how creators can contribute their own unique threads to a larger writing tapestry by sharing their own unique experiences and perspectives. The conference celebrates the art of writing, and art takes many forms—creative, scholarly, playful, researched, and personal. Just as you might go to a gallery opening to see and celebrate art, the KU community will come together to see and hear this “large installation piece”—our conference. Join us to share your own voice as part of the larger tapestry of writers!